Warrior Legend Manga Universe: Final Fantasy VII 20th anniversary! Final Fantasy VII 20th anniversary! 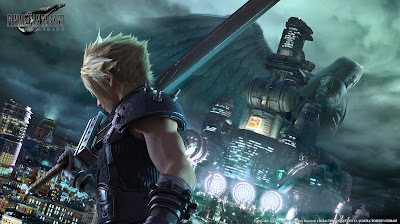 As a fan, as a writer and producer myself, I would like to put in a few words on Final Fantasy VII, it's a special day for a fantastic game. It was a part of my childhood growing up playing this and it inspired me in so many ways on my creative side, as well as being entertained to the edge. I have lost count of how many times I have played it through, bottom line I'm a huge fan and collector thanks for a great game! Looking forward to the remake, hope it delivers. Final Fantasy VII, Advent Children Complete, Dirge of Cerberus, Crisis Core, Before Crisis, On a way to a smile, and FFVII sample with siggraph '95 preview playble demo! Vincent Valentine Playarts Kai plus more Vincent from Dirge and Ehrgeiz game and other.